“Bequeathing in Peace -- Without Breaking the Family into Pieces” is one of our regularly held lectures by our team in the Munich area. 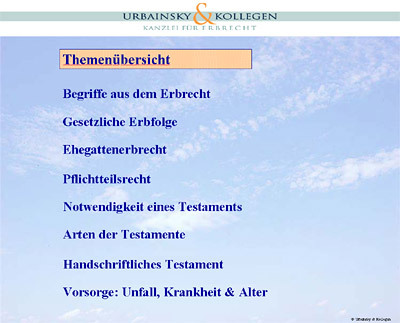 These lectures provide an initial overview of and some recommendations for dealing with inheritance laws, types of wills, their benefits as well as risks in order to avoid future disputes. The lectures are held in German language. Below you can find a list of dates, when and/or where this lecture will be held. Check our schedule, when the next lecture in your area will take place. There is no charge for this meeting. Each lecture begins at 5:30 pm.